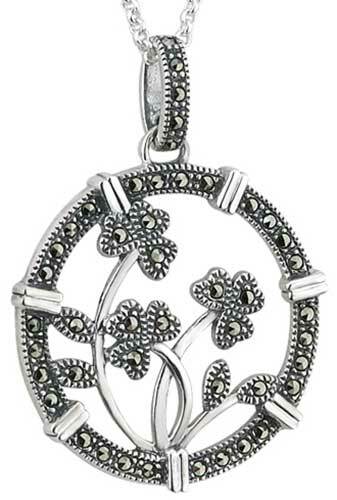 Shamrock pendant features sterling silver construction that is enhanced with marcasite stones. 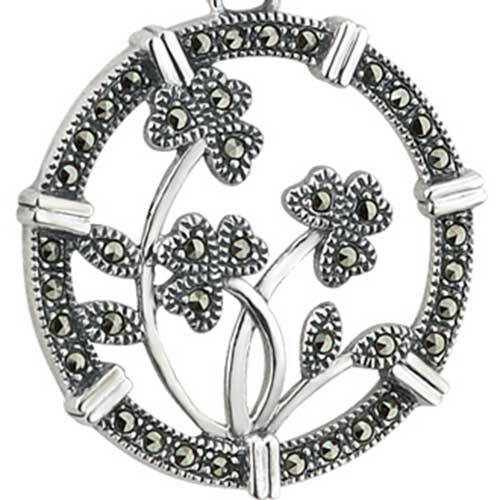 This sterling silver shamrock necklace is studded with marcasite stones in the leaves along with the surrounding edge and even the chain bail. 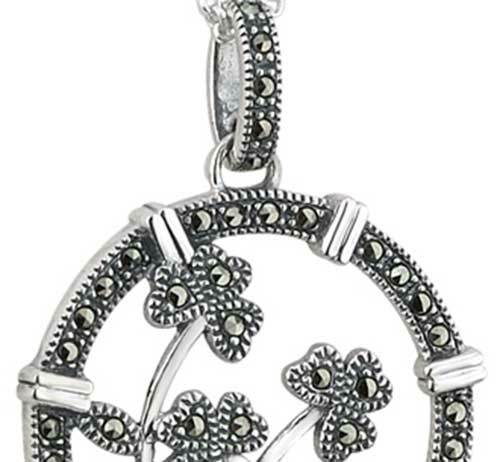 The shamrock pendant measures 1" wide x 1 3/8" tall including, the chain bail and the jump ring, and it includes an 18” long sterling silver chain.